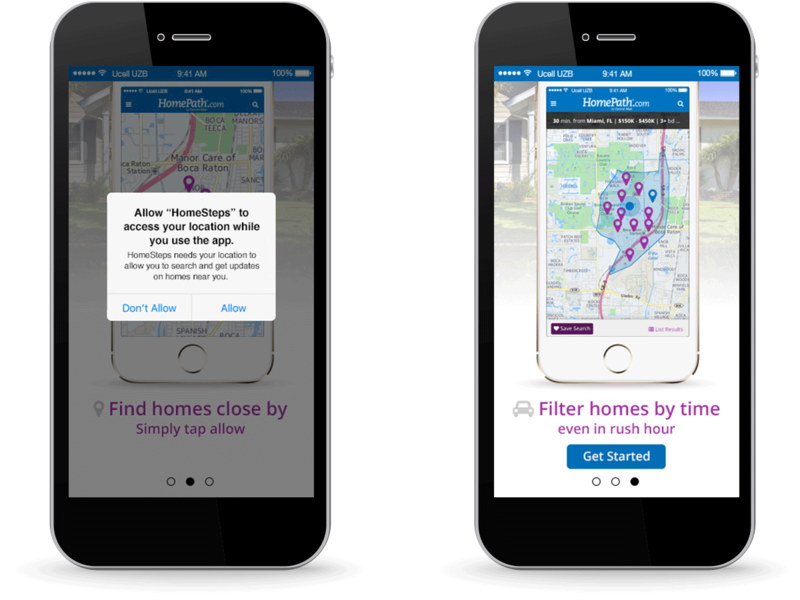 While working at Active Data Technologies, Fannie Mae approached us to design and develop a mobile app for HomePath with the goal to feature some of their foreclosed properties. 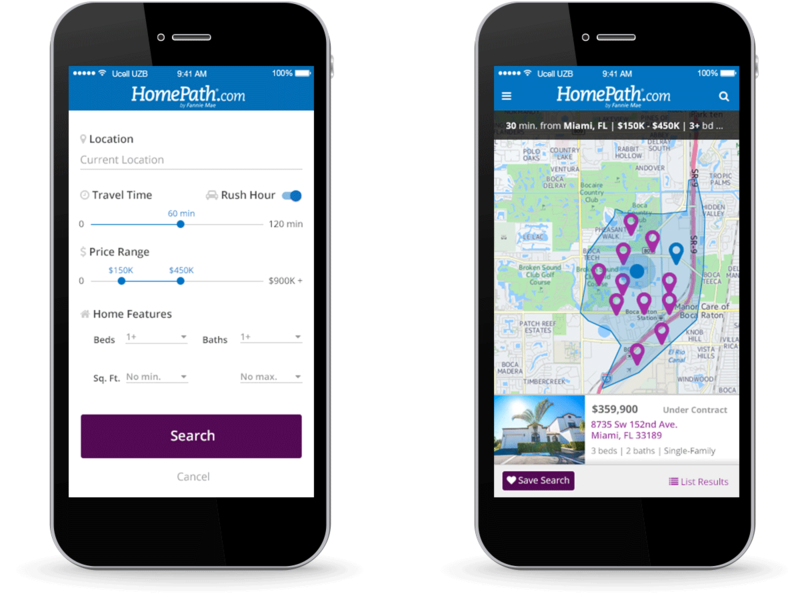 A team in HomePath had developed an API that could map out an area around a specific location based on the desired driving time from said location and Fannie Mae wanted to use it. 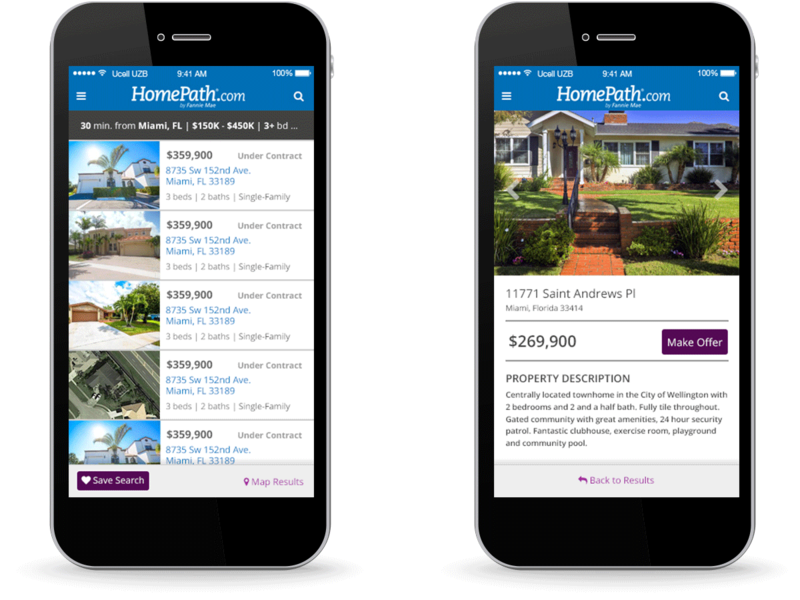 I prototyped many iterations using Balsamiq and provided a solution that would help educate users upon launching the app for the first time. 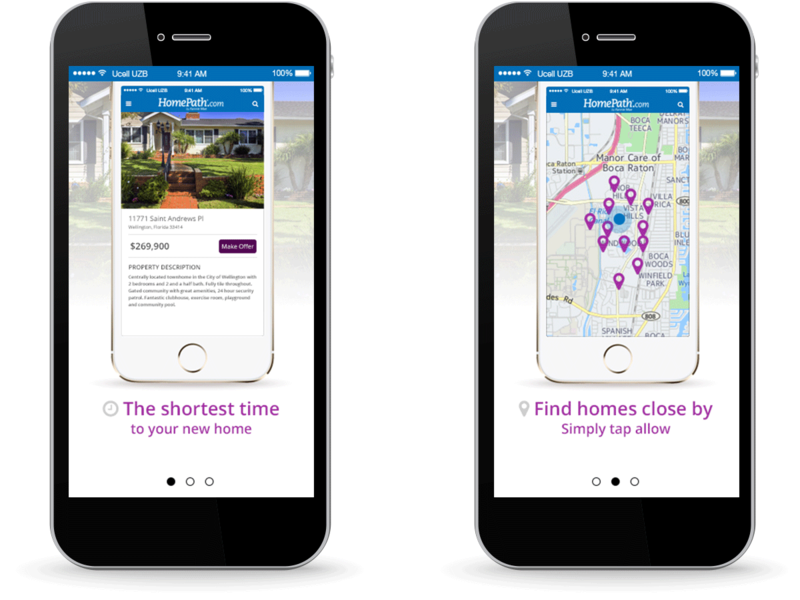 Users had the option of viewing results as a list or on a map and an admin dashboard was created to review properties saved and to manage email alerts.